Sold In Multiples of: 1 No. 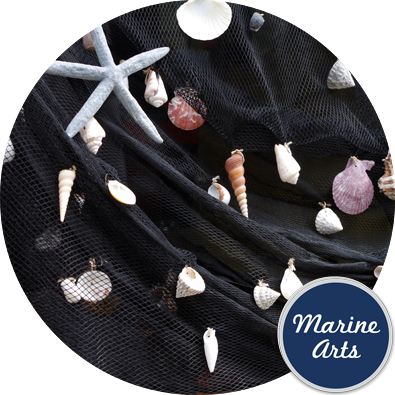 Large black fishing net with sea shells and starfish. Specifically designed as a background drape for window dressing and events. Hand made black net with sea shells and starfish, principally designed for internal use, but could be used externally if the starfish were removed.